Nigeria's clean energy investment record is overwhelming whereas the year 2018 is not yet over. Two hundred million dollars have already been injected into the promising sector. The finding was made by Abiodun Oni, Director of the Energy and Infrastructure Division of Stanbic IBTC Bank. Abiodun Oni, Director of Stanbic IBTC Bank’s Energy and Infrastructure Division, announced that the green energy sector had attracted $200 million to Nigeria in 2018 during a conference on “Nigeria’s Energy Mix: Off-Grid Infrastructure Investment Opportunities” held in Lagos on August 1, 2018. He said that most of the investment comes from the private sector. Investments were mainly made in off-grid solar energy, wind power, biomass and hydroelectricity, which the State plans to boost, in particular by focusing on small power plants of less than 30 MW. 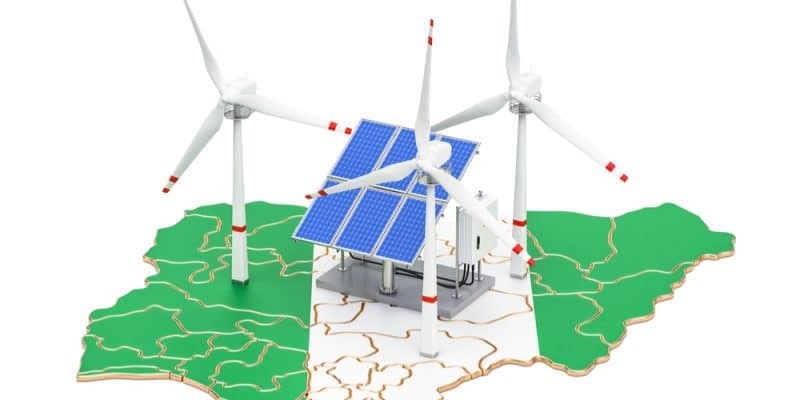 Nigeria nevertheless remains a promising country for investments in renewable energies and especially off-grid. The country has a population of over 190 million and an electricity access rate of 45%. Nigeria is the largest economy in sub-Saharan Africa but problems of access to electricity are holding back its growth. Yet the country has enormous hydroelectric, solar and wind resources. At this day, it already has the capacity to produce 12,522 MW of electricity thanks to solar power stations and especially existing hydroelectric power stations. They actually produce only 4,000 MW, which is not enough. According to the World Bank, 75 million people had no access to electricity in Nigeria in 2017. This figure is higher in rural areas where only 36% of people have access to electricity, compared to 55% for those living in cities according to the American cooperation organisation USAid. Many villages are not served by the national electricity network. This can be a godsend for private investors to develop the Off-Grid. Segun Adaju, president of the Renewable Energy Association in Nigeria, says: “When operators invest in solar energy infrastructure, such as panels, batteries (…), it will boost access to electricity in Nigeria. He also took the opportunity to call on individuals and companies to invest in solar energy in Nigeria.